This small college in Michigan encourages students on the riding team to value community service as much as blue ribbons. What happens when you encourage a determined and accomplished group of collegiate-level equestrians to give back to their community? 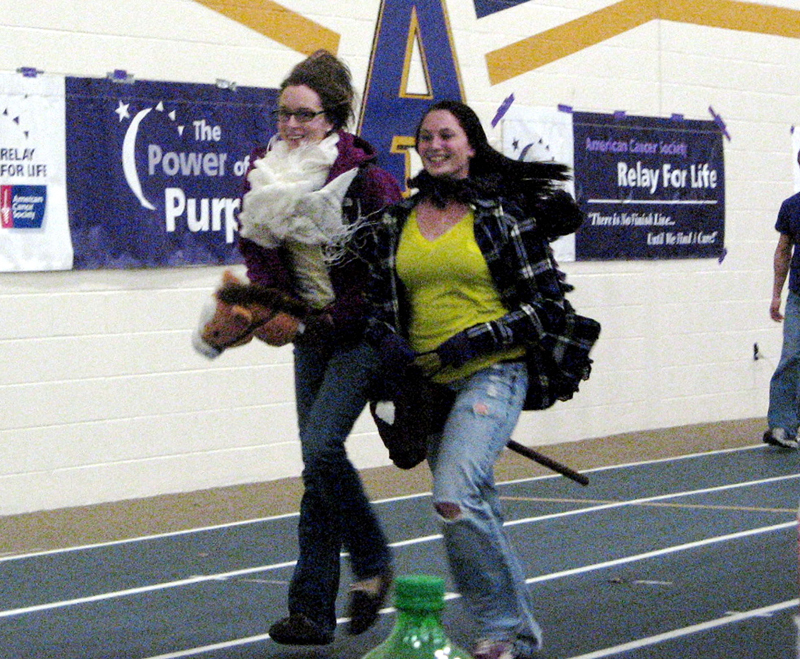 At Albion College in Albion, Mich., you get almost $1,000 raised to fight cancer during a Relay For Life event on Nov. 19. The staff at Albion’s Nancy G. Held Equestrian Center has a history of nudging student-riders toward service activities, such as volunteering at local horse rescues and participating in the town’s parades and community events. 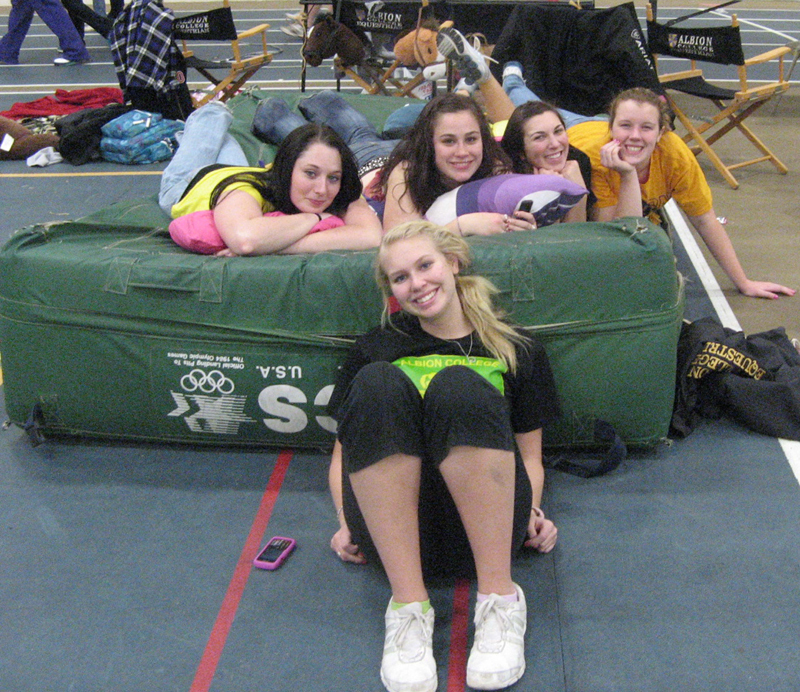 Lauren Levy, a senior from Amherst, Mass., who is majoring in political science with a minor in economics and management, said participating in Relay For Life was a total equestrian club effort. With 86 members spread among three different disciplines (hunt seat, dressage and western), the students often find it hard to bring the whole organization together with one project. The Relay For Life began in 1985 when Dr. Gordy Klatt, a Tacoma, Wash., colorectal surgeon, decided to raise money for his local American Cancer Society office and show support for his patients who’d battled cancer. Klatt was an avid runner, so he put his skills to use and spent 24 hours circling the track at Baker Stadium at the University of Puget Sound in Tacoma. He ran for more than 83 miles. That first year, nearly 300 of Klatt’s friends, family, and patients watched as he ran and walked the course. 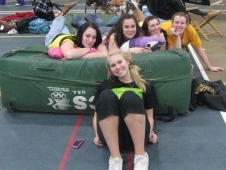 Throughout the night, friends donated $25 to run or walk with Klatt for 30 minutes. His efforts raised $27,000 to fight cancer. The next year, Klatt planned the first relay team event with the help of Pat Flynn, and 19 teams raised $33,000 in the City of Destiny Classic 24-Hour Run Against Cancer. Since then these runs and walks to fight cancer have popped up all over the country. 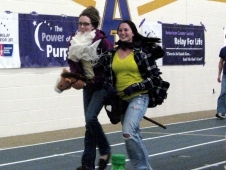 Albion’s Relay For Life event went for 12 hours, beginning at 6 p.m. In all Relay For Life events, participants must have someone walking throughout the night, though it doesn’t have to be the same person. 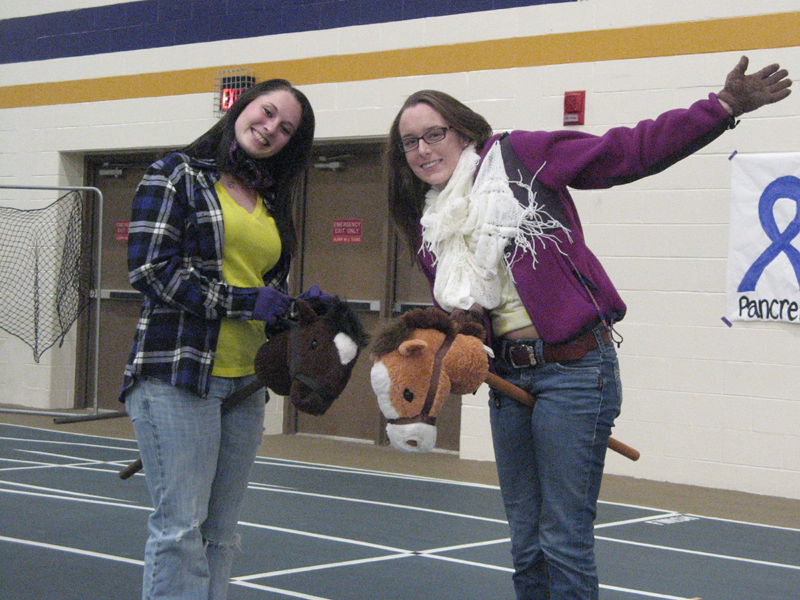 The relays run overnight, up to 24 hours, because “cancer never sleeps.” For Albion equestrians, their night of fundraising began after a long day at the barns running a dressage show. 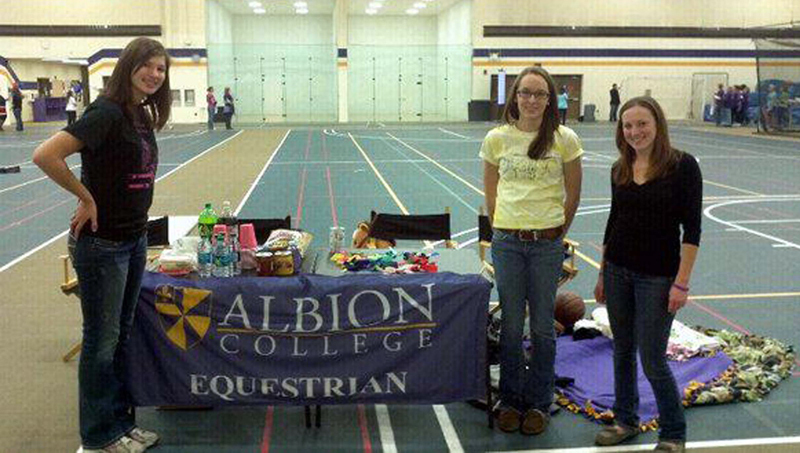 While Albion hosts three different riding teams, the school doesn’t offer an equine degree. Instead, students study for the International Trainers License through the British Horse Society. 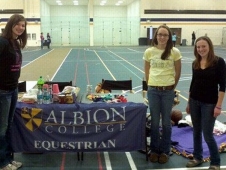 Levy, who chose Albion specifically for their riding program, said that being part of the equestrian club and helping run events like the Relay For Life team has already prepared her for her future.